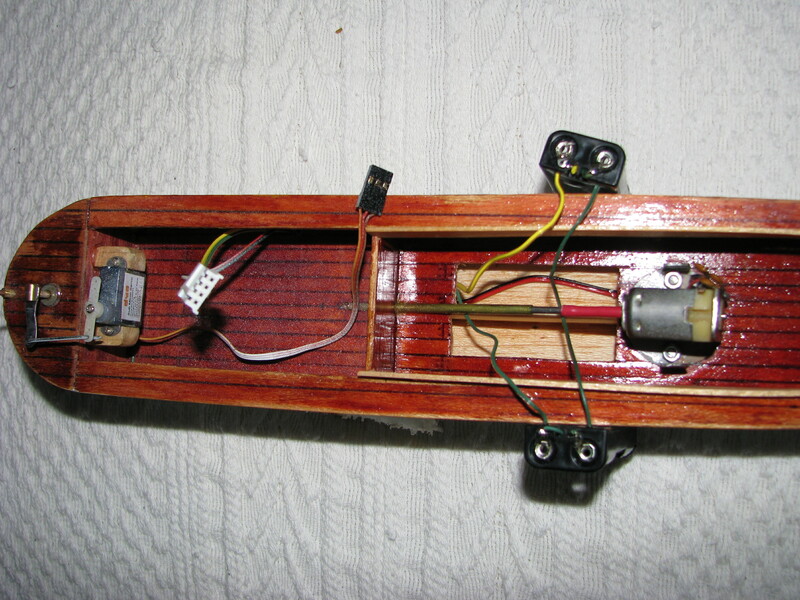 This shows the wiring for the twin battery pack. Keep the wires under the propshaft. 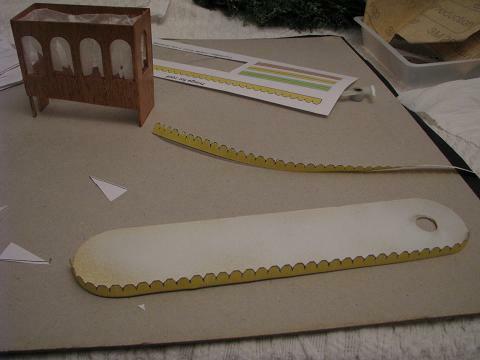 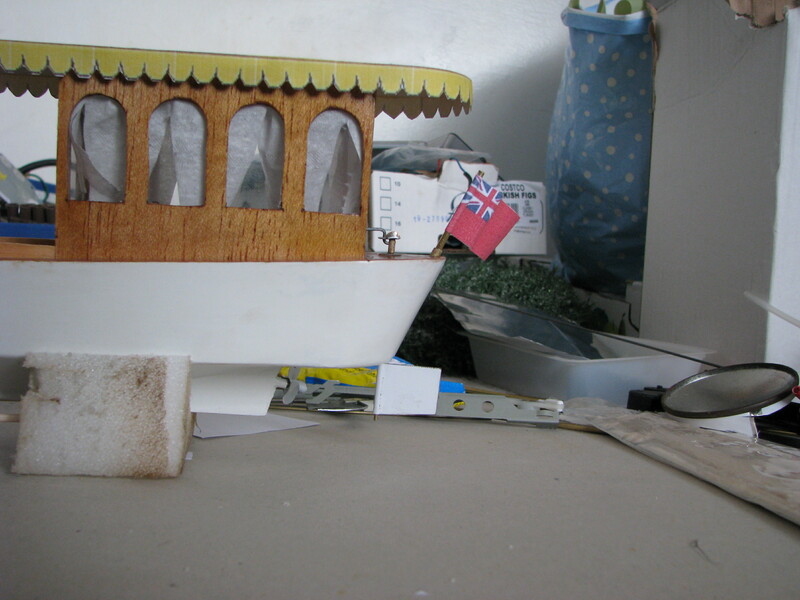 Cut the curtain shape from the former on the Trim sheet - it's easy to cut the tissue if you put it on the paper first. 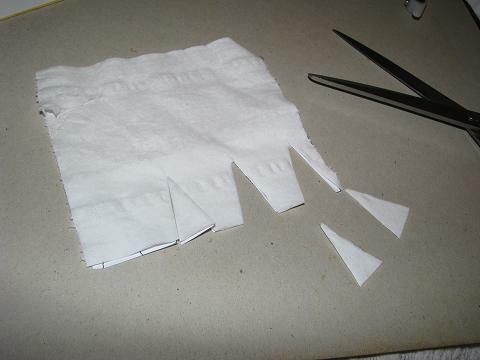 Separate the plys of the tissue after cutting to get a thin net curtain effect..
Cut them to size, and sand them until they are an easy sliding fit in a hardwood block and a brass tube. 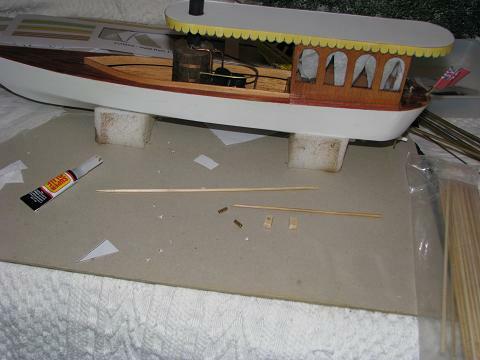 Then superglue the block and the tube to the roof and the coaming, leaving the bamboo posts unglued so that the roof can easily be removed. 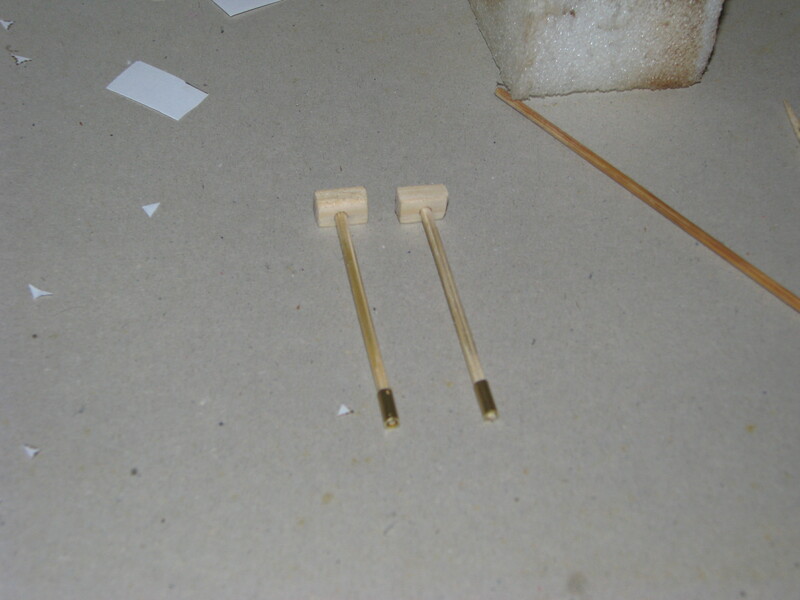 Here you can see a simple barn-door rudder soldered to the rudder shaft. 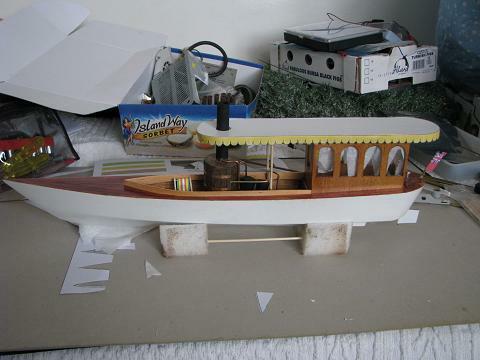 I have left a little of the shaft exposed so that a propeller-guard can be added - a length of wood from the bottom of the keel to the base of the rudder. 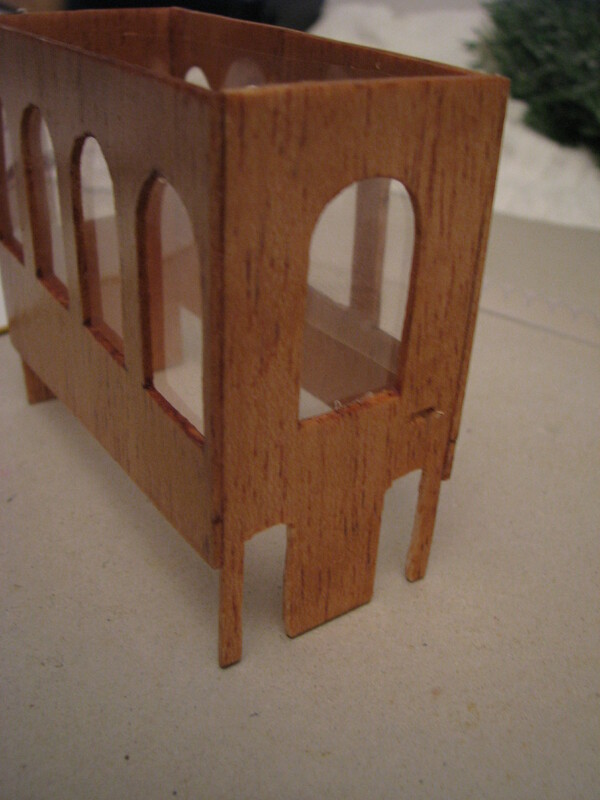 Here is the cabin with its windows glazed. 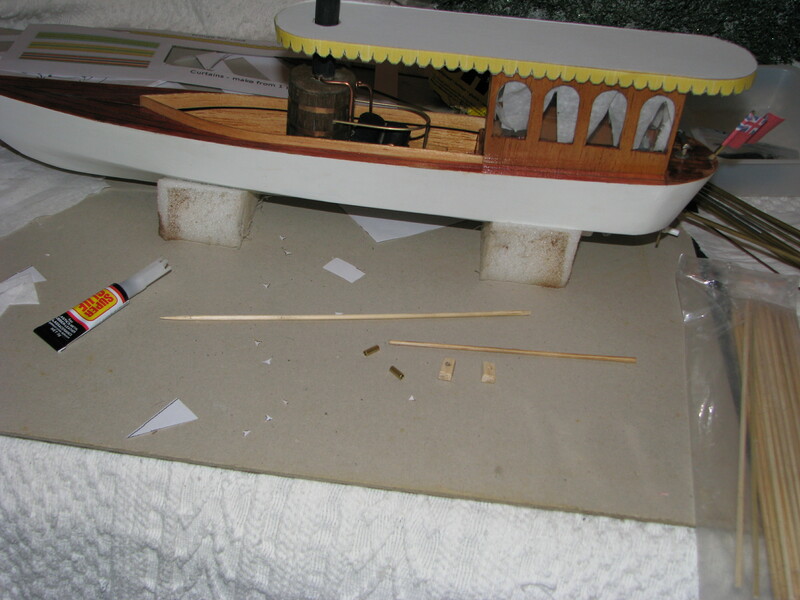 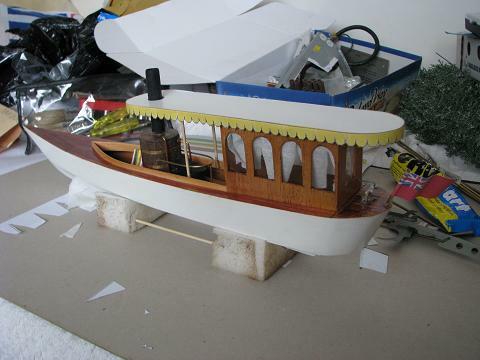 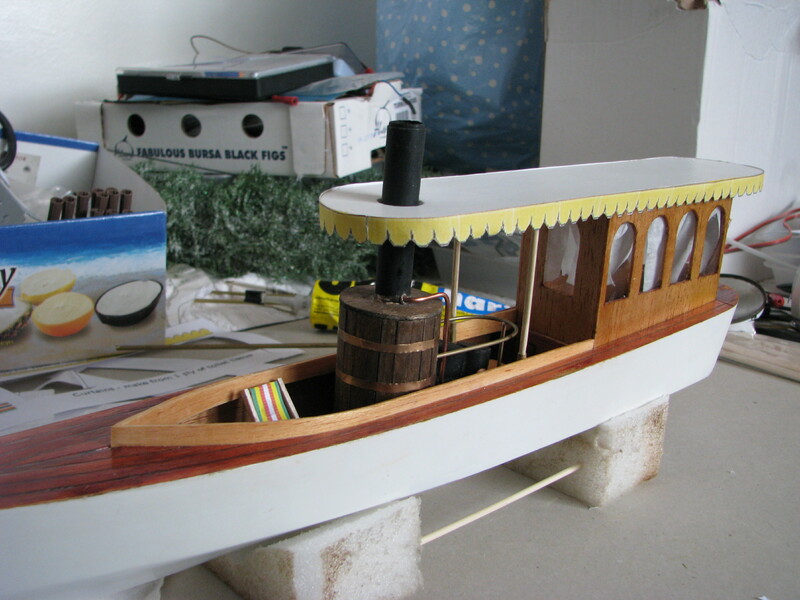 If you mount the servo on the stern bulkhead, you need to cut slots in the cabin wall to let the servo mounts and the tiller lever through.